establishing clear guidelines for the handling of your organization's funds. be proper procedures for handling church groups opening separate checking accounts. Personally I do not think church groups should open separate checking accounts and have unlimited access to the funds. It makes it difficult to maintain accounting internal controls and may even open the door for mishandling of church funds or at the very least...the appearance of wrong doing. Phil Collins addressed some of these concerns in his post on this site titled: Risk of Church Losing Tax Exempt Status? 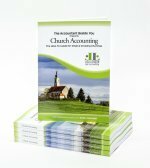 If separate checking accounts for church groups are kept open, they should be under the general accounting structure of the church and should be balanced monthly by the church treasurer or someone that has no signature authority on those separate accounts. One of my readers commented that for decades in his church...each group (ladies auxiliary, men's club, youth group, stitchers, etc) have had their own bank accounts and handled their own finances, all while using the churches ID number on their accounts. His concern was that while these groups take in contributions and do fundraisers, that the accounting for these funds is never reconciled with the church and never included on church financial statements. He was right to be concerned. 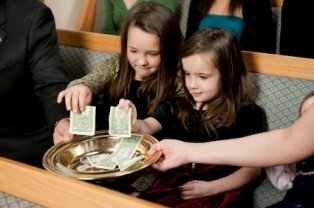 All church-related funds should flow through and be monitored and reported on by the church's financial administrators. In addition, the more accounts a church has set up the more work it is for your volunteer or paid staff to reconcile, monitor, and oversee those accounts. See an accounting internal control checklist that you can use to see how your church handles some of these internal control issues. Pre-print on checks the amount requiring a second signature (For example “Any check over $500 is required to have two signatures”)… the signature card on file at your bank should show this restriction also. The person who does the bank reconciliations should not be the same person that signs checks, keep the books, or process receipts. Another person such as the pastor, business manager, or finance board member should review the bank reconciliations monthly. I know I harp on internal controls a lot, but in the last few years there has been such a sad increase in “reported” church embezzlements. So many lives are hurt (both the embezzler and the church members), and trust destroyed by these senseless acts and many times...a few simple accounting internal controls in place could have diverted the devil’s temptation. I know that with some people you can never make it tight enough that they won’t find a way to get past your internal controls and steal from the church and God …but don’t make it easy for the devil to tempt those that may have just fallen on hard times…but whose lives will be forever changed by following through on the devil’s suggestion. Be good stewards of the trust invested in you by your church!